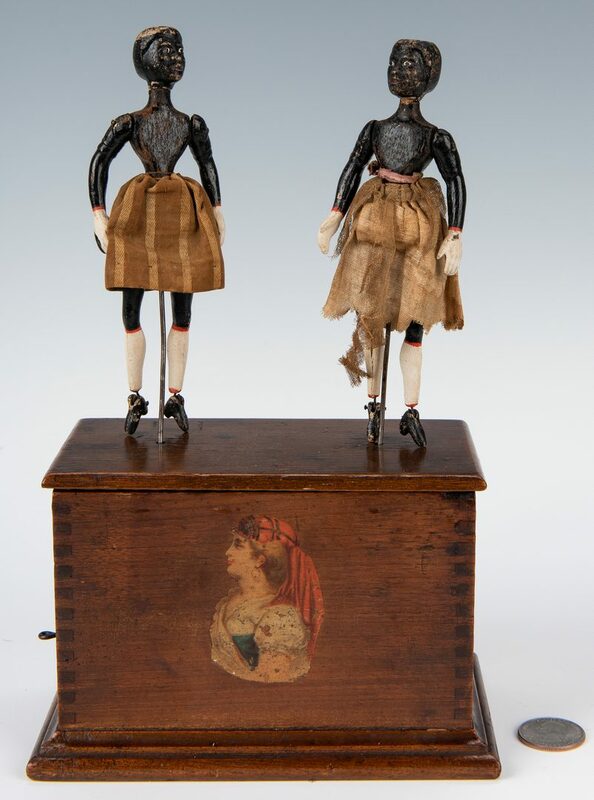 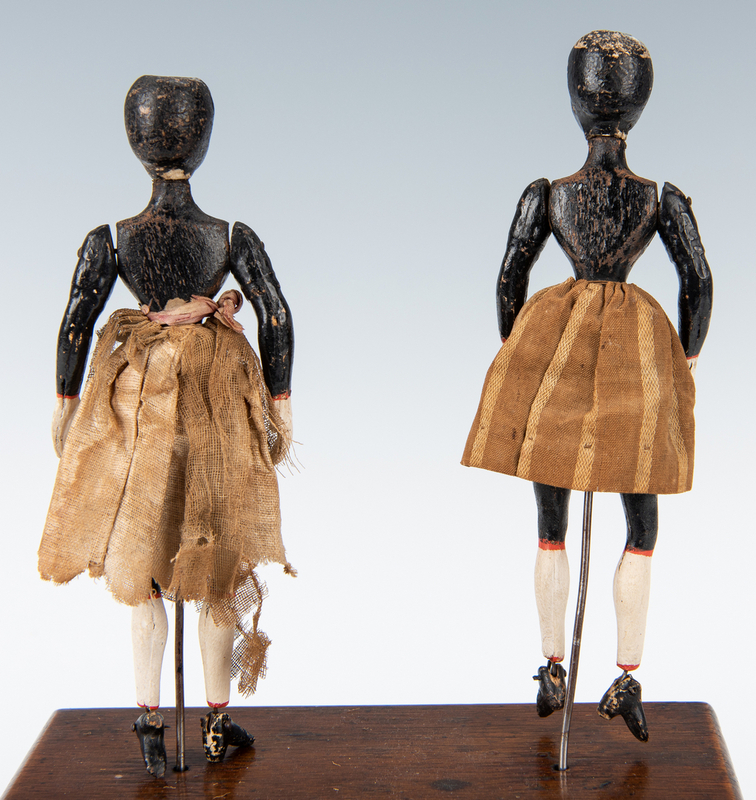 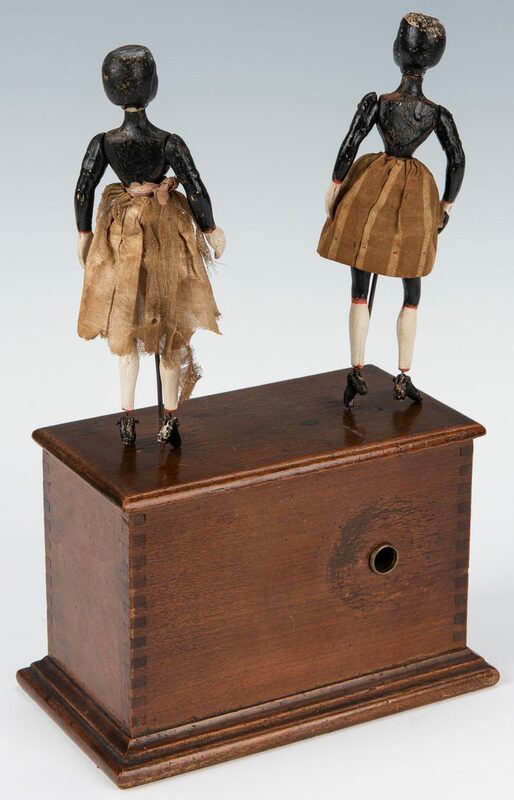 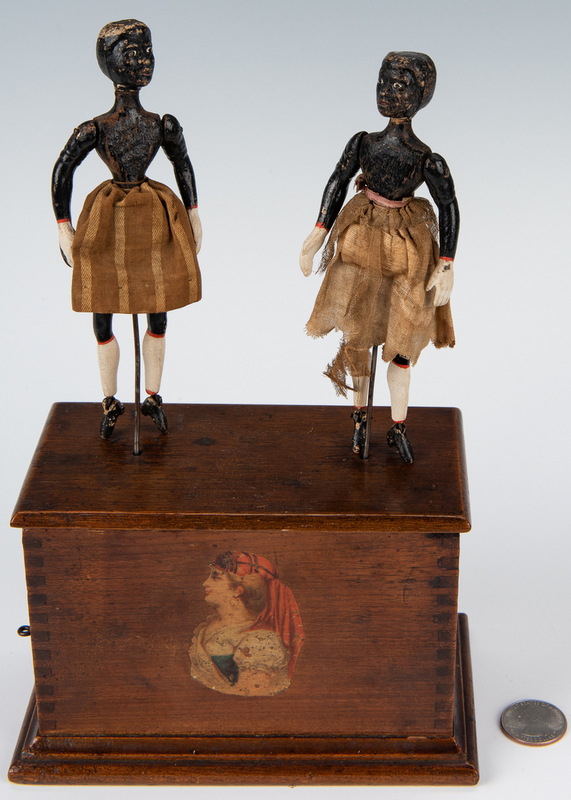 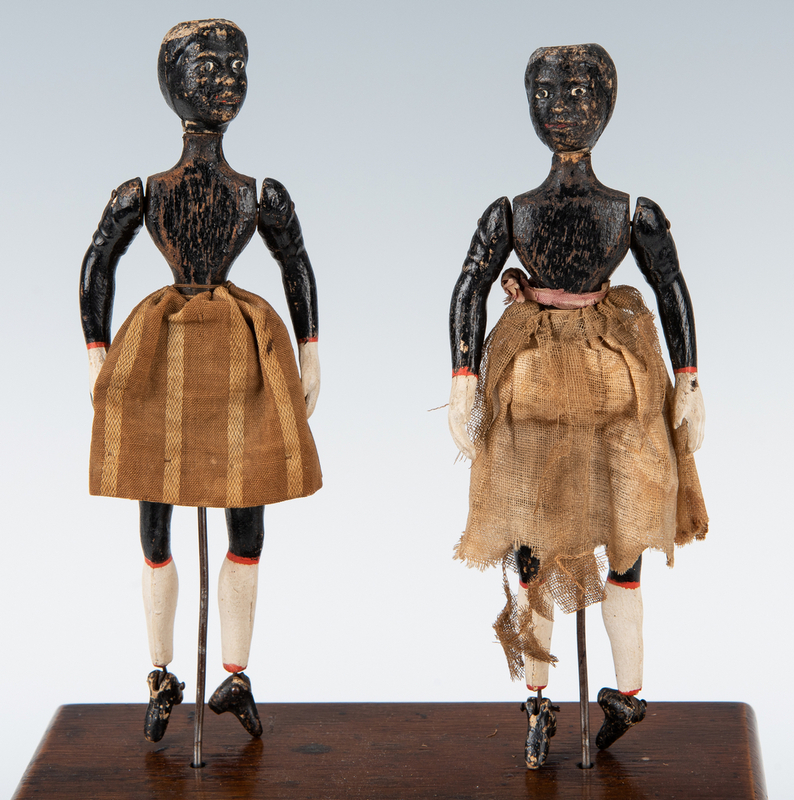 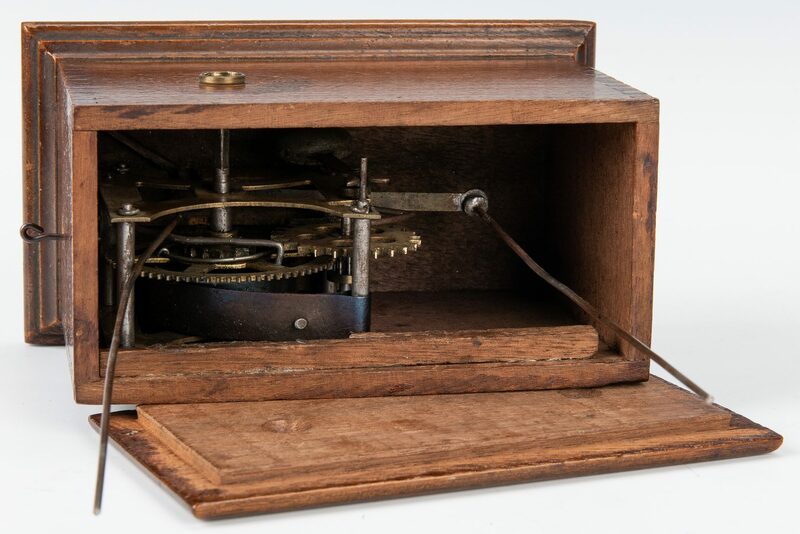 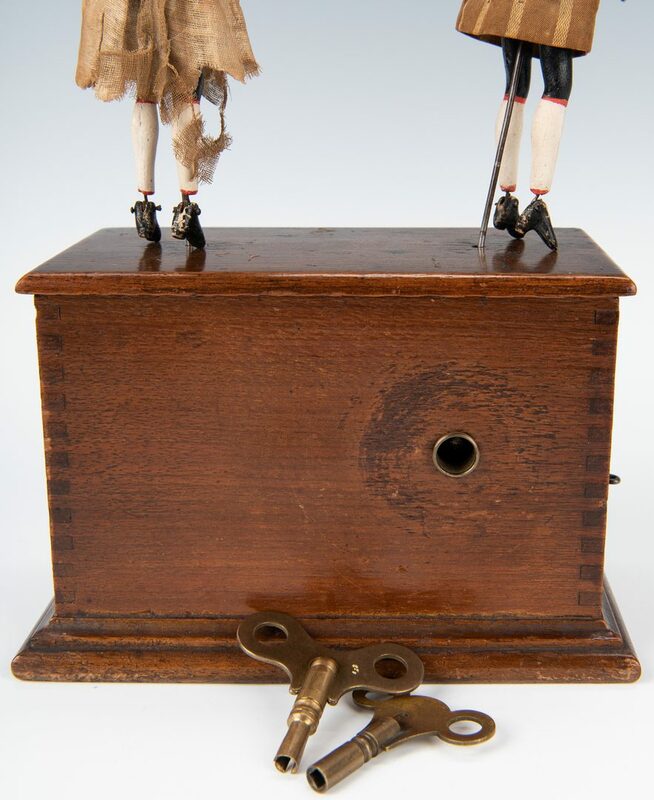 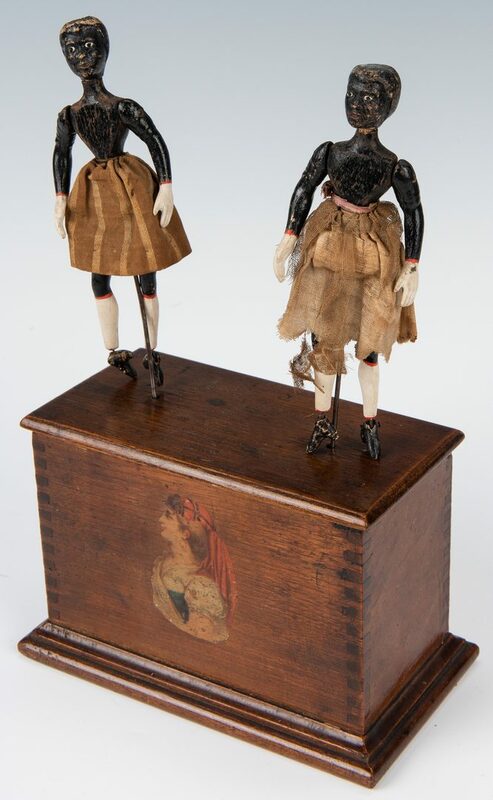 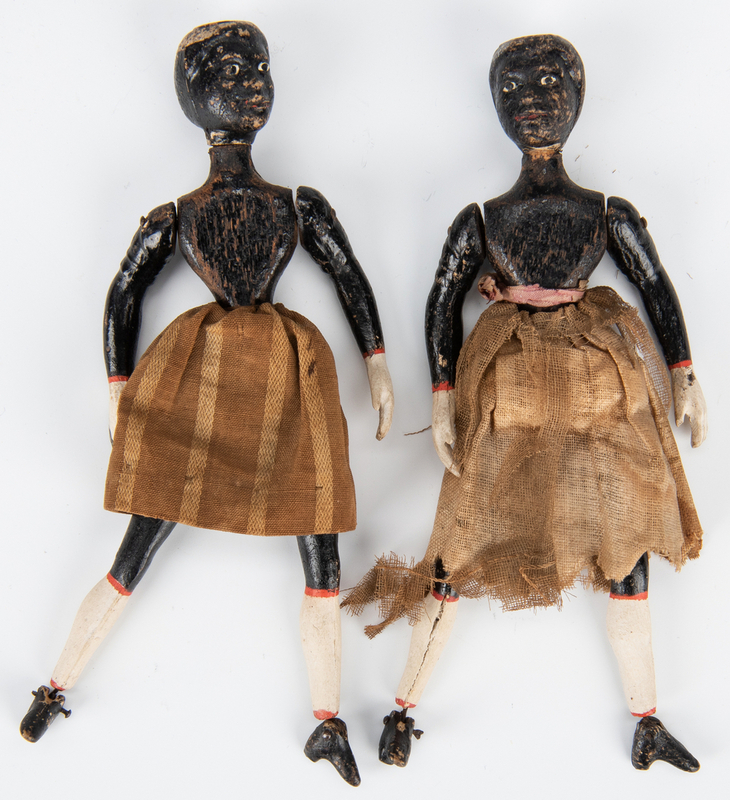 Folk Art clockwork dancing automaton comprised of two (2) articulated and painted wooden African American female figures, mounted atop an oak box, the interior fitted with clockwork gears and one side with a decal of a young woman. 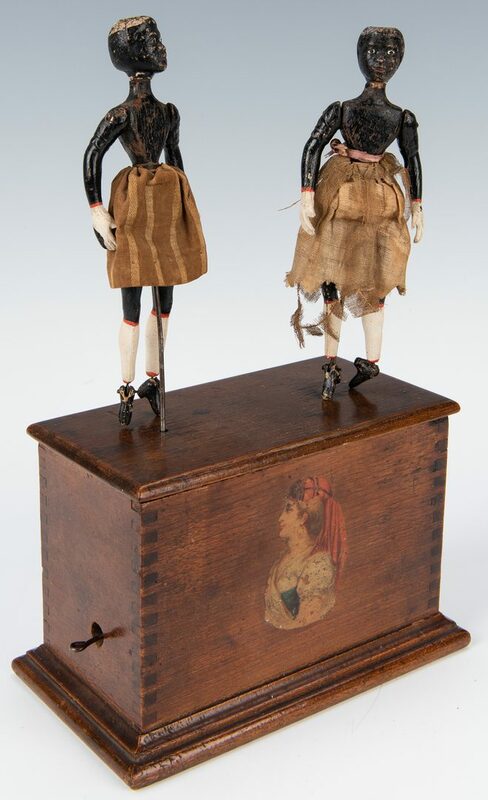 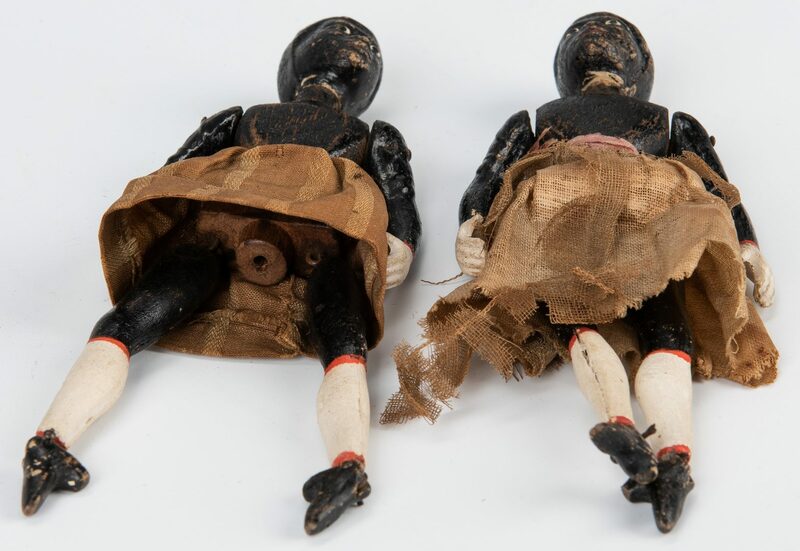 Figures – 5 5/8" H, 9 3/4" H x 6 1/4" W x 3 1/2" D. American, 2nd half 19th century. CONDITION: Gears functional. 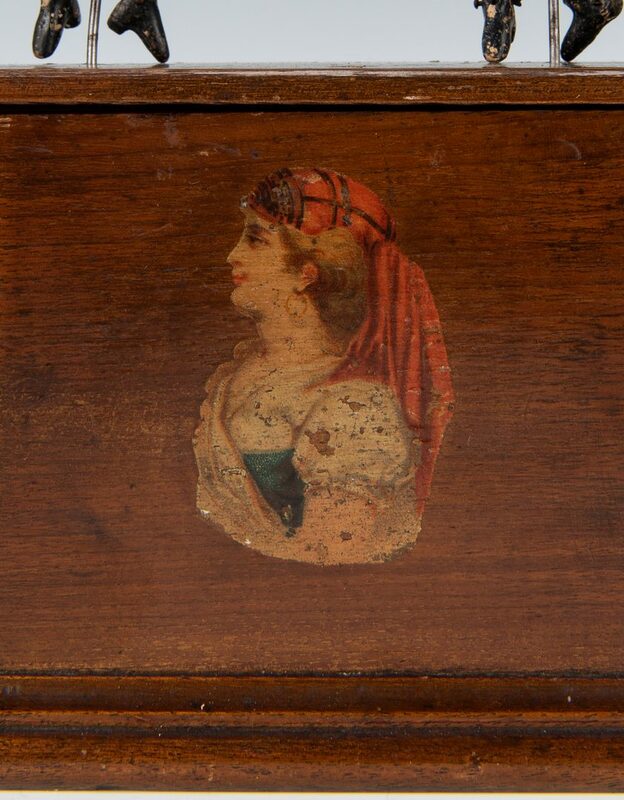 Abrasions and wear to figures, wear and tear to clothing, Losses to decal.